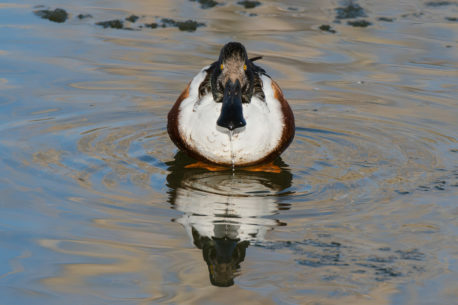 It was late afternoon when this Northern Shoveler started to get active from an afternoon nap. One of the first things it did was get a drink. As it raised its head from the water It was positioned just right looking straight at me for a nice portrait.